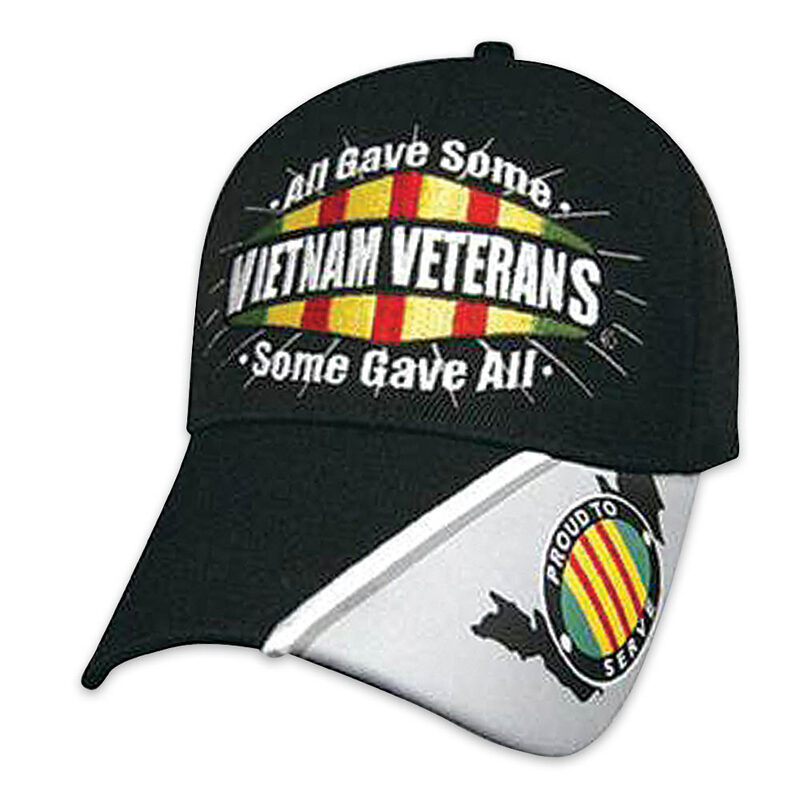 Military Freedom Vietnam Veteran All Gave Some Cap | BUDK.com - Knives & Swords At The Lowest Prices! The Military Freedom Vietnam Veteran All Gave Some Cap is a great tribute to our Vietnam Veterans who have served and sacrificed for our county. Our attractive six-panel black cap features a full color exclusive embroidered design on the crown and woven label on the bill. It features an impressive Vietnam Veteran themed design. It is made of 100% light cotton twill and has a hook and loop closure on the back.